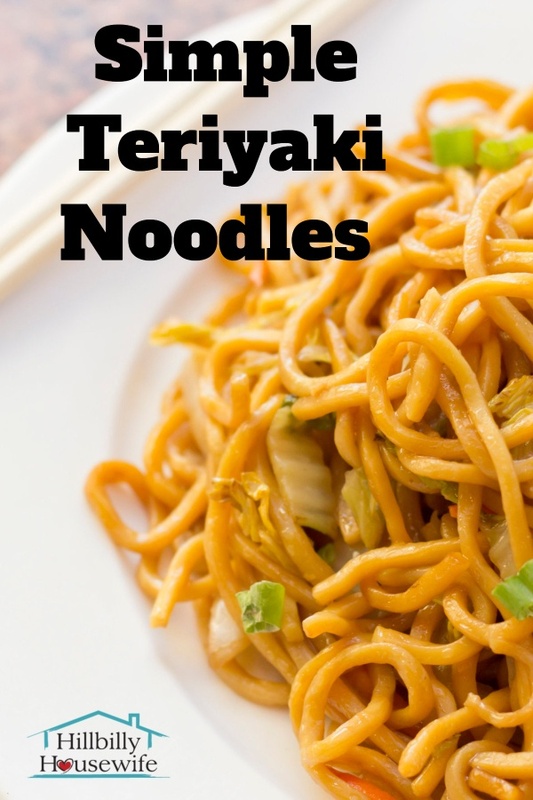 Let’s talk about teriyaki noodles. I’ve been obsessed with this simple Asian-inspired recipe lately. It’s a delicious and filling side dish, but also works for lunch on it’s own. It’s great to make leftovers stretch. 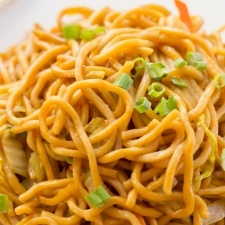 For example, if you have a little chicken or pork left over from dinner the night before, make a batch of these noodles, dice or shred the meat and add it at the end. This is such a versatile dish. 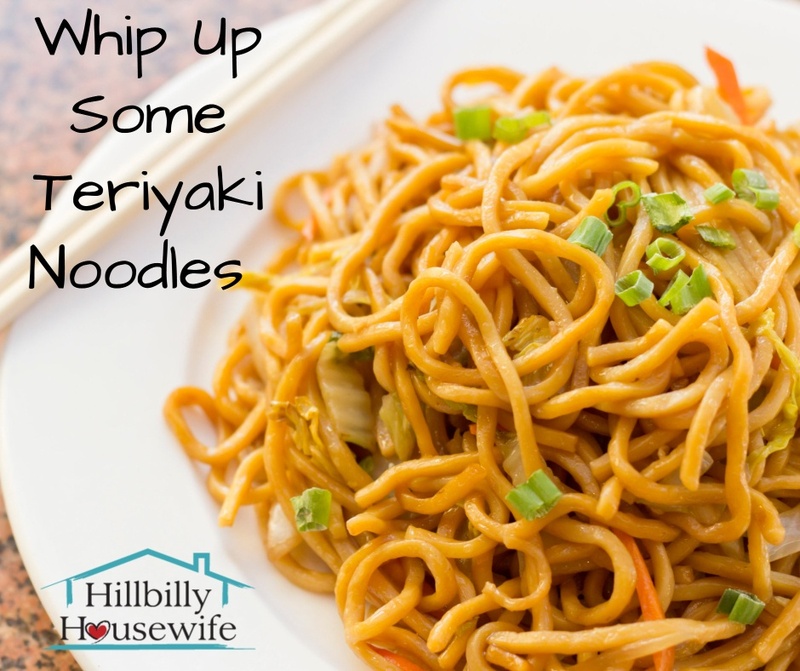 You have to give this teriyaki noodle recipe a try. You can make this dish with your favorite store-bought sauce. I prefer to make my own. 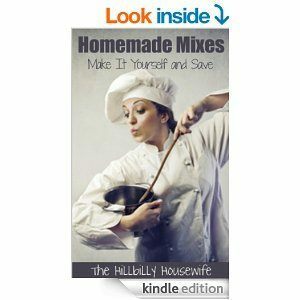 I shared my stove-top recipe for homemade teriyaki sauce as well as an even easier Instant Pot Teriyaki Sauce recipe. I encourage you to give either (or both of them) a try. The result is so much better than the bottled stuff. The traditional way to make this is with soba or buckwheat noodles. While you can certainly find those at your local grocery store these days, regular spaghetti are much more affordable. I often use whole wheat, but plain spaghetti work just as well. If you need this to cook even quicker, try angel hair pasta and slice your veggies paper thin so they cook in just a minute or two in the pan or wok. Heat oil in a skillet or wok over medium-high heat. Add onion, celery, and carrot. Cook for about 3 minutes or until the vegetables start to soften. Add the mushrooms if desired and cook an additional 3 minutes. Add the teriyaki sauce and stir until well combined. Lower the heat and cover the pan. Allow the dish to simmer for a few minutes. When the vegetables are tender, add the noodles and stir until they are well covered in the sauce.